I recently curated a Repurposing board on Hometalk . I found much more than 31 clever ideas for repurposing common household items. We all repurpose common household items. How many different ways are you using tissue boxes in your home or cars? We are all in search of clever new uses for ordinary household items, aren’t we? This list will lead you to more than 31 new ideas you may be able to use in your own home. You may have seen some of these common items repurposed in similar manners before but take a look at the new twist some clever folks are adding. WARNING! You will have an overwhelming desire to head out to your favorite thrift store, yard sales or estate sales while you are reading these fabulous ideas! 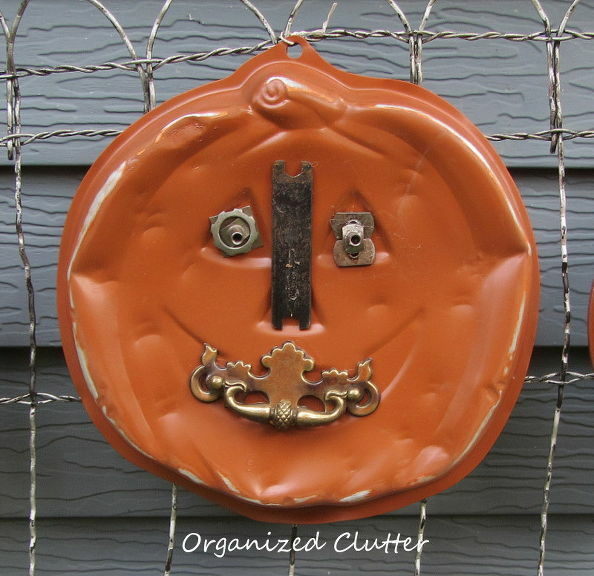 This adorable pumpkin is one of a 3 piece set created by Organized Clutter and shared on Hometalk. To see the entire set and the cute way she displayed them, go here. 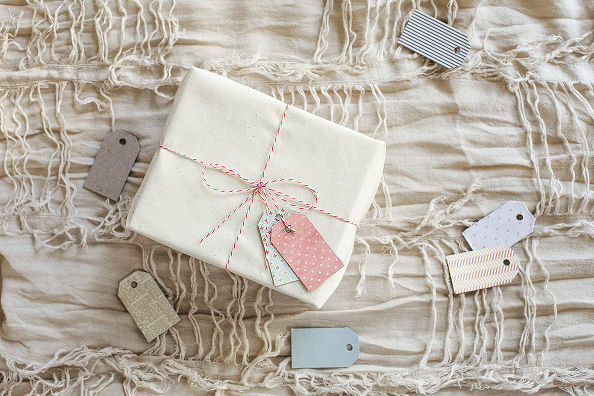 We will think twice before tossing out cereal boxes after learning how to make these adorable gift tags by Tiffany Mitchell. You can view her link here. If ♪The Best Part of Waking Up♪ is Folger’s in Your Cup♪ then chances are pretty good you may have repurposed an occasionally coffee canister. This set is a beautiful creation by Kitchen Kelli. You can find her Hometalk post here. Visit this Repurposing Idea Box on Hometalk for links to these and tons more ideas. Great repurposing ideas! Love the tin cans. Thanks for linking up at #SustainableSundays! Love this! I’m always looking for ways to utilize all the “junk” that accumulates around here! Thanks for the great ideas- pinned it. I need to go check out Hometalk! I have never heard of it before. Found your blog on the Thrifty Thursday link party and started following on Google +. Thank you Erin. You really should go check out Hometalk! I love that website. There are tons of fabulous ideas there! Great roundup! I think that pumpkin is adorable!!! I haven’t checked out Hometalk yet, but now I think I just might have to! Thank you for sharing with us at the Merry Monday Link Party! Amanda, you are welcome. You should go check out Hometalk! It is one of my favorite sites for new ideas. 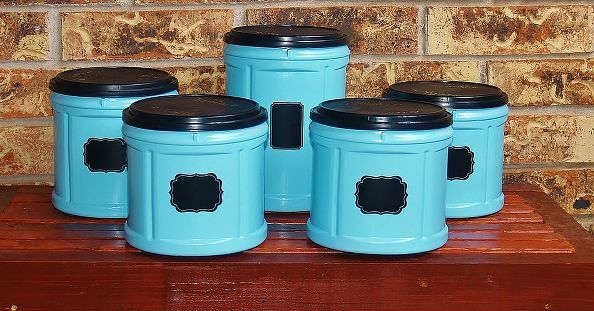 I love the repurposed coffee canisters! I always feel bad throwing them away because I feel like there must be something I could use them for. Now I’ve got an idea! Thanks for sharing with Hump Day Happenings. Jenna, I feel the same way. I tossed one recently but I have 3 saved now. I will soon have a complete set and I plan to paint them and fancy them up for storage! Loved that idea! Fantastic post, Shirley! I’m headed over to check out your board on Hometalk now – So glad it’s working out so well for you there! I LOVE repurposing stuff! I’m so glad I read your post, because we have four old license plates in our garage, and I’ve been wondering what to do with them. So excited to have a new project idea. Based on your post, I’m going to spend a little more time on Hometalk too. I’ve been to the site, but I didn’t stay around long enough to really figure out what’s going on. Kate, I’m so glad you found some useful ideas! Hometalk is wonderful, it’s my new favorite place to hang out! I wish I had some old license plates too, that is a cool project! Oh, I could just kick myself for throwing out that rusty muffin tin a few weeks ago! And I loved the tea-cup planters. These ideas are so inspiring. Thanks for sharing and for linking up at Wake Up Wednesday. I know Karen! I threw an old muffin tin out recently too! That would be great in the garage with little do-dads in it too. Thank you for stopping by. Oh my gosh – so many clever crafts!! I love anything to do with pockets – love those jean silverware holders 🙂 All great ideas! Those coffee canisters are invaluable for repurposing! You should head on over to Hometalk and check out the rest of what she did with that pumpkin cake pan, it’s part of a vignette set. So many great ideas!!! I do feel the thrift store calling me now… I may not be able to resist! Krista, I just need to get ready and go right now! I absolutely LOVE those pumpkin cake pans and want to make those for a Fall display! Thanks for stopping by. Those are some great repurposing ideas, Shirley! Thanks, Alli. I hope you have time to head over to check them all out! There are some wonderful ideas to be discovered.